The Pick, April 14: Dimitrov vs. Verdasco, is Grigor ready to turn around and win matches again? Without question, Dimitrov has been struggling big time. He has so much potential that if he can right his ship, than slowly he can come back to form. He has a terrific variety, can mix up his one-handed backhand, and he can take over the net. However, this year he is changing where he is going and what he is trying to do. Whether or not he is trying to be more basic, or he is using every shot to mankind, he has to find something that works soon. Now they are on clay, playing in the famous, idyllic Monte Carlo. Dimitrov lost to David Ferrer in the fourth round last year, but after that, he was fairly decent on clay, winning Bucharest and reached the semifinal in Rome, where he lost to Rafa Nadal. Of course, Ivo Karlovic shocked him in the first round at Roland Garros, but the Croat can bomb away, any time, anywhere. Fernando Verdasco loves the clay, but he has had a so-so this year, losing in the semifinals at Houston when he lost to Sam Querrey. Two days later, he had to fly across the ocean so he could have been exhausted in the late afternoon. The lefty has a tremendous forehand, a pretty good first serve and, when he is feeling right, he will go for his backhand down the line. 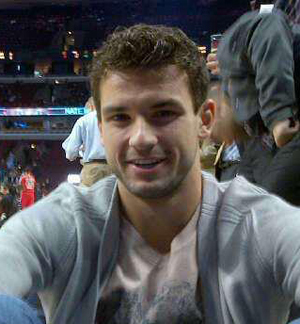 But after his long trip he will be spaced out and Dimitrov knows that he has to start winning now. He will win in three sets.